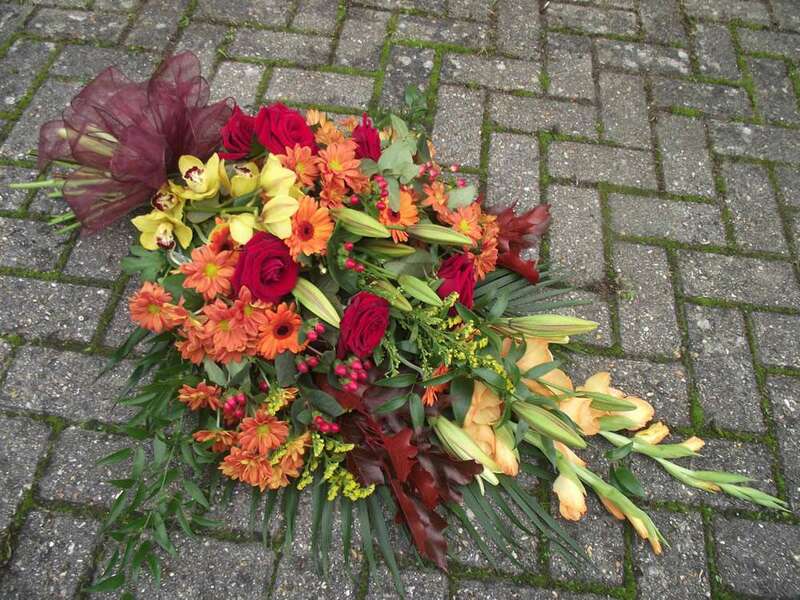 Simply a bunch of cut flowers tied together in a flat shape with the flowers staggered. These are perfect for services where the family prefers to remove and keep the flowers. 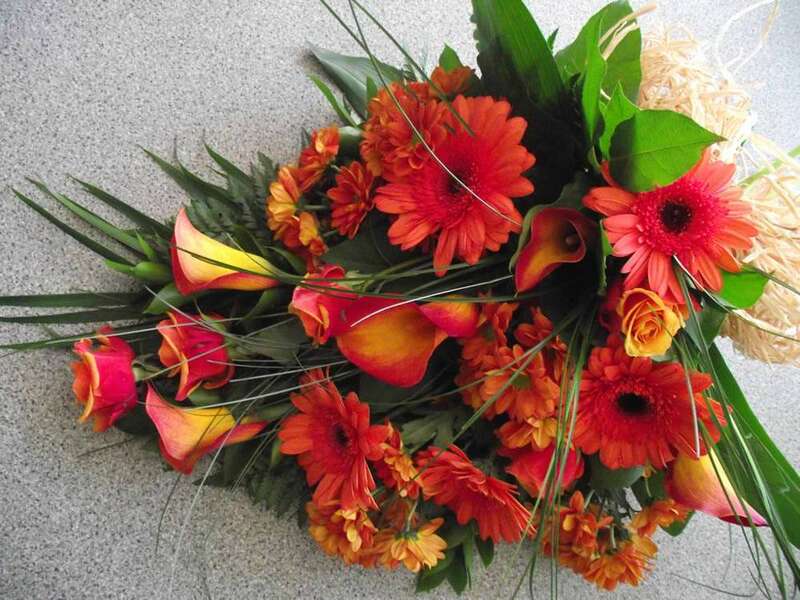 They can be easily untied and rearranged into a vase in memory of the person either at home or at a chosen place. 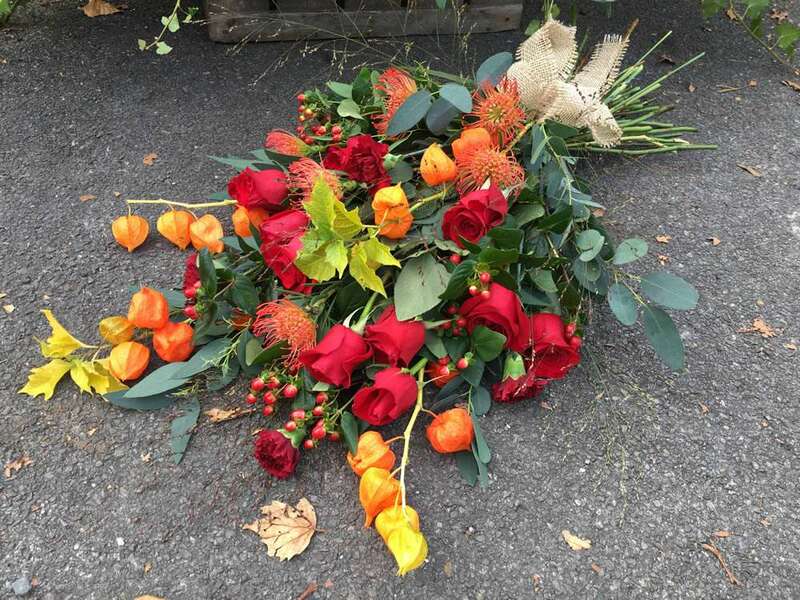 You can request your preferred colours in a seasonal design and leave the choice to our florists or if you have particular flowers you would like included please let us know and we can advise you on their availability and cost. Sheaf’s can be finished with your choice of ribbon – we have everything from Poly ribbon to organza and satin. We can also use green materials like hessian or raffia, which are fantastic options for a truly biodegradable tribute and can be left in woodland burial plots with absolutely no residue.